How can I create multiple submit buttons that will go to different email addresses? I want to be able to create separate submit buttons that will email the completed form to the clinic the patient will be visiting, but when I edit the submit properties and change the email of the notification, the email goes to the default email address, not the one in the notification section of the form. I haven't put the form on a web site. It's just in draft form on the JotForm site. 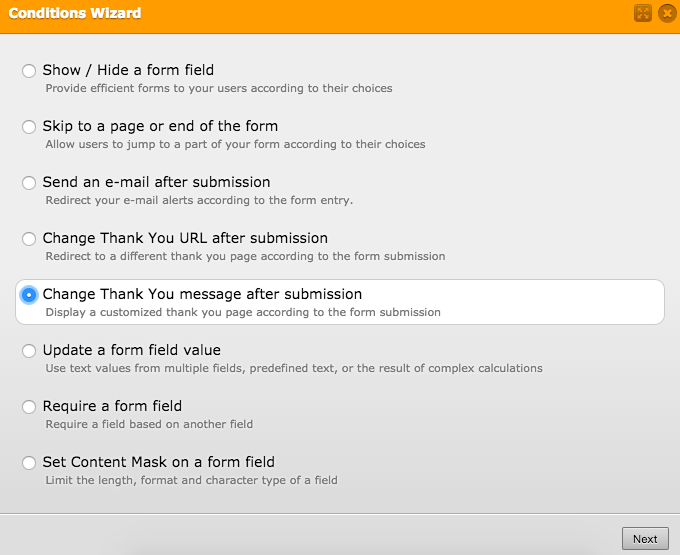 You can add as much submit buttons to your form as you want. Unfortunately, you can not set the condition based on the clicked Submit button, but there are enough options that can be used as a work around. You can change the thank you page depends on the selected element on a form.